Liquid waste needs to be pre-treated before it can enter the TasWater sewerage infrastructure. Putting in a pre-treatment system will often require council and TasWater approval and it is recommended that before you choose a designer, you check with the relevant council and building surveyor to ensure that the pre-treatment design credentials align with the council and building surveyor needs. You will need to submit your pre-treatment system designs to TasWater for consideration and the design must be done by a qualified and experienced designer. The design will depend on the type of trade waste that needs to be treated and the size of the receiving sewer catchment. Your designer will need to make sure the pre-treatment device is big enough for the maximum amount of discharge. The Plumbing Code of Australia (PCA) contains the technical requirements for the design, construction, installation, replacement, repair, alteration and maintenance of liquid trade waste systems.  In Tasmania the Department of Justice legislates the technical standard detailed in the PCA. The Tasmanian Water and Sewerage Corporation (TasWater) determine the size and capacity for storage and must comply with the technical standards detailed in the PCA. National Construction Code 2015, Volume 3, Plumbing Code of Australia (PCA), performance requirements specified under Part F1.0, FF1.1, FP1.1, FP1.2, FP1.3, FP1.4, F2.0, F02, FF2.1, FF2.2, FP2.1, FP2.4. TasWater is responsible for making sure that public drinking water is safe. The process for making sure the water is safe is to look at the different hazards of each property connected to the potable water supply system and make sure that there are barriers to control of those hazards on each property. Consult with TasWater on backflow protection devices located at the boundary of commercial and industrial businesses. Backflow is the unwanted reverse of water from a customer’s premises to TasWater’s potable water supply system. The reason that backflow prevention is important is because backflow events in Australia and overseas are known to have caused poisoning and death. For commercial and industrial businesses, a boundary backflow containment device is required no matter what planning zone or individual backflow protection is in place. The device is placed at the properties boundary and this is called boundary backflow containment protection. These trade waste customers receive a hazard risk rating and enter into a Trade Waste Agreement with TasWater. The discharge of trade waste to the TasWater’s sewerage infrastructure will then be assessed and fees charged accordingly. Visit TasWater (external link) and learn more about trade waste policies, guidelines and forms.